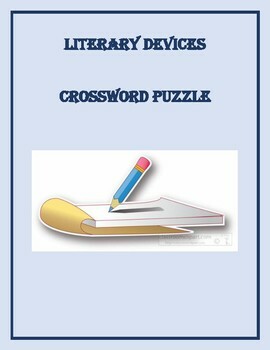 Packet includes 5 challenging crossword puzzles with answer keys. Students are given definitions and examples of various literary devices and figures of speech and will need to identify the type that is being used. 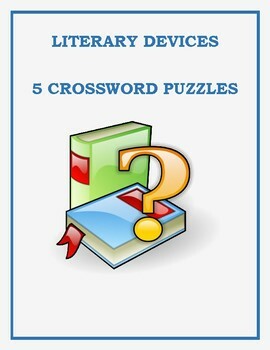 This is a fun activity to apply their knowledge of the different types of literary devices and figures of speech. They can work individually or in groups to figure out each example. 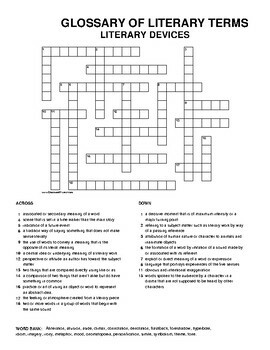 Great for test preparation test or to activate prior knowledge. 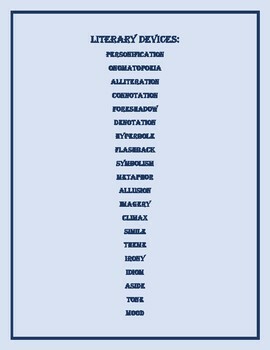 Also, a great addition to literacy centers.